Supre cute, I REALLY love that image!! This is gorgeous Pat, I love the image and fabulous detailing. I am glad you had a good time on Saturday. A gorgeous card Pat. Love the image and all those fab embellishments. Ooh this is gorgeous Pat! 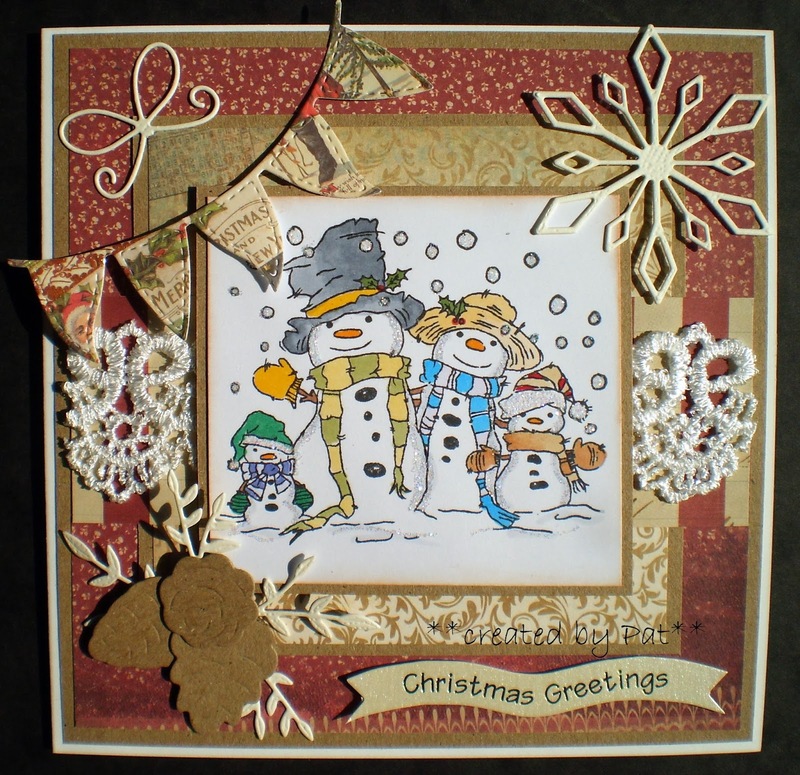 what a lovely cheery image - I love the cute snowman family! the papers are very scrummy and I really like the colours and pretty embellishments! Glad you had a nice time at your son's wedding reception! This is a beautiful card - I love all your details - they really make it special. I'm so glad you joined us for our "Show Us Some Snow" challenge at Glitter n Sparkle. Good luck in the draw! Gorgeous, lovely colours and a great image! Thanks for joining us at A Gem Of A Challenge! Did I ever tell you how much I love snow people - your card is so delightful! So country and festive.